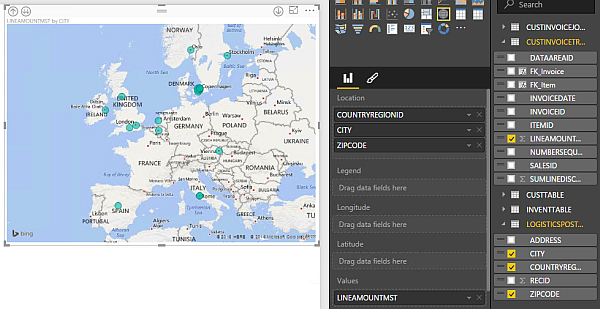 This is an update to the previous published articles on Data Visualization, OData Feeds, Power Map, Power Pivot in Office 2013 and Power Pivot in Office 2010. 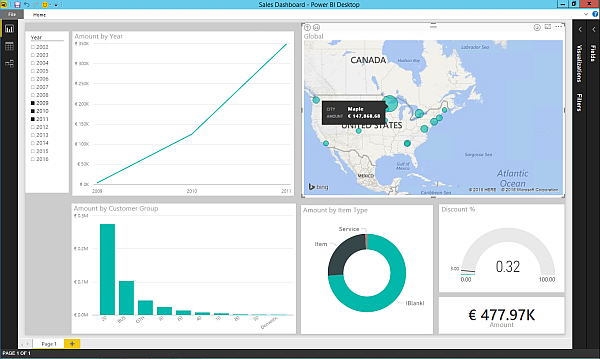 It shows how to use Power BI for Desktop to create a Sales Dashboard for Dynamics AX 2012 (R2). 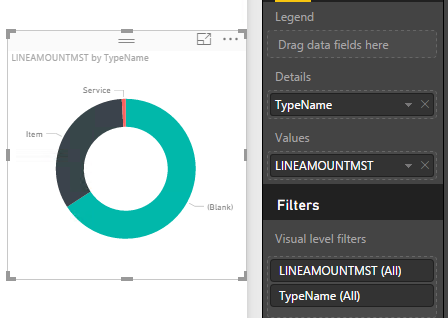 Start Power BI for Desktop and start with an empty report. 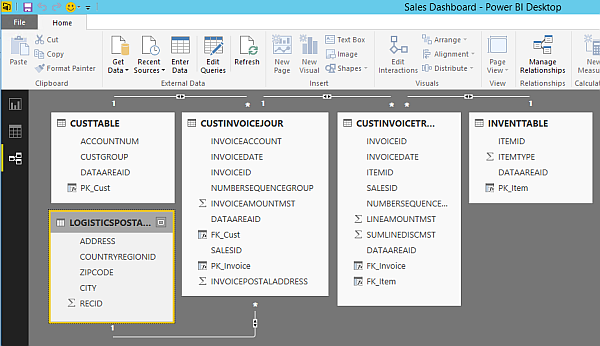 From the ribbon on top click “Get Data”, choose SQ Server and provide your server and database. In this example I’m using a single server installation. However, in a production environment you might need to provide <SERVERNAME> \ <INSTANCENAME> , <PORT> e.g. 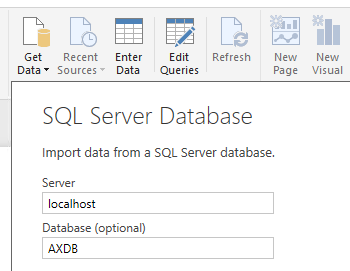 SRVSQL\PROD,2303. 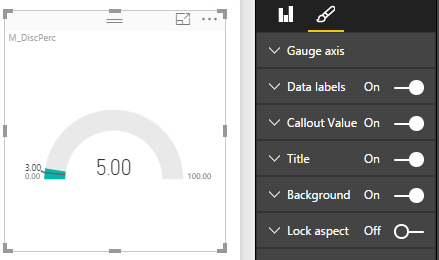 Click Load, and choose “Import” to load the data in Power BI for Desktop. Click “Close & Apply” to finish this task. 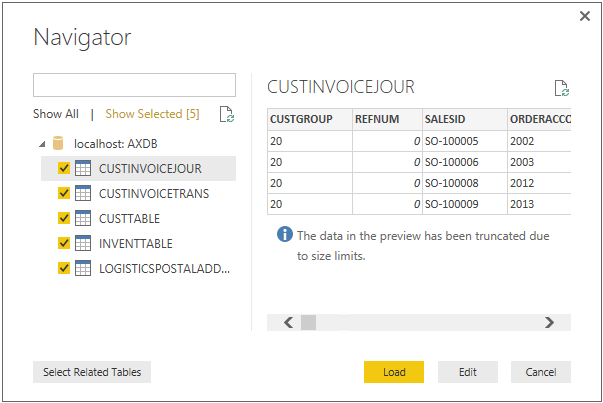 In the data view, select the InventTable. From the ribbon create a new column and name it “TypeName”. Add the following code to translate the Enum based ItemType Integer Value to a meaningful name. Next a donut chart to visualize the revenue per item type. Drag&drop the LineAmountMST from the CustInvoiceJour on the value property of the donut chart and drag the TypeName from the InventTable. 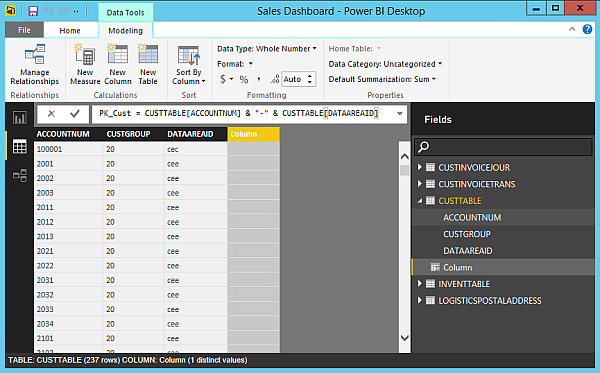 Place a column chart on the report to visualize the revenue per customer group. Place the LineAmountMST in the Value field. Use the CustGroup from the CustTable as Axis. 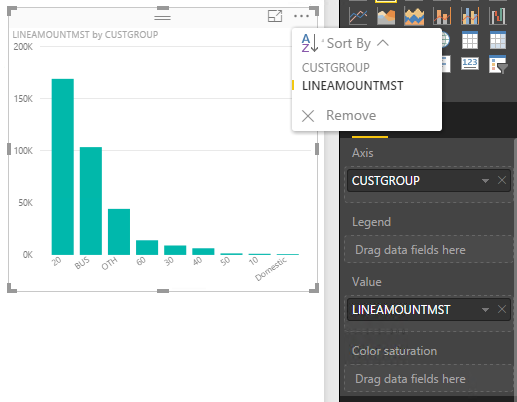 Change the sort order to LineAmountMST by using the […] Dropdown Menu in the upper right corner of the chart. Finally, add a line chart on the report to visualize the revenue per year. Place the LineAmountMST from the CustInvoiceTrans on the charts value field and put the InvoiceDate from the CustInvoiceTrans on the Axis field. Give each chart a meaningful name. Change the size for the text to fit your report style. Switch to the data view. Change the column names into something more meaningful for an end user e.g. LineAmountMST to Amount. 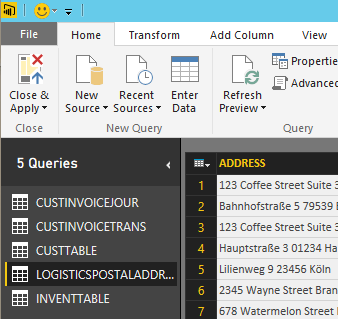 Change the columns formats e.g. 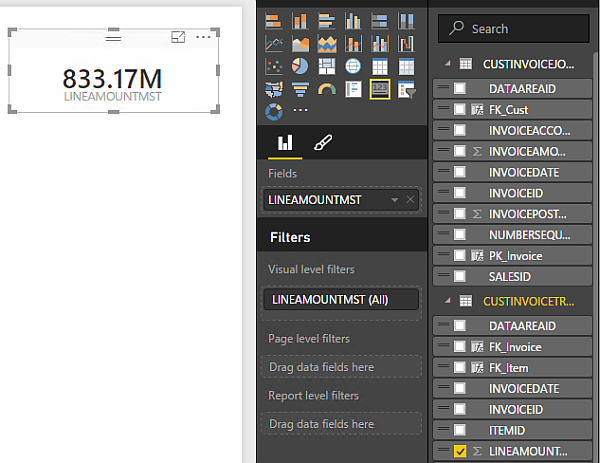 Currency for LineAmountMST, date format for the InvoiceDate.